This week, the Blockchain Technology Group, known as Blocktech, announced the creation of a business model for a new era of technology that will enable the cryptocurrency space to sustainably monetize a bitcoin business. Blocktech, led by CEO Devon Read and supported by a large group of some of the best and brightest in the cryptocurrency space, has established the company to actively develop hardware to carry, accept and spend cryptocurrencies easily and securely. The team is working to cultivate cryptoeconomies around the world through the development of open source hardware, intuitive design, sustainability and socially just manufacturing. The company announcement follows below. 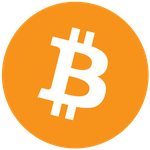 SAN DIEGO, July 1, 2014 — Blockchain Technology Group is a new Bitcoin-related startup. Also known as Blocktech, it is apparently the first integrated, or “full stack,” company in the cryptocurrency space, with teams building distributed applications, cryptoeconomies, open source hardware and a multimedia knowledge base for a blockchain-integrated world. Like others in the industry, Blocktech’s founders believe that the blockchain protocol is revolutionary and has wide-reaching, yet-to-be-imagined applications. And they claim to have figured out a new kind of stable and sustainable business model, quite a feat in the decidedly volatile Bitcoin space. The novel business model was inspired by the conversations had during the process of bringing together a multi-disciplined team of domain experts. Until now, the only companies that have been able to thrive in the crypto space have been online wallets and exchanges, as they can produce reliable profits with simple transaction-fees. However, other entities have struggled to monetize their work. They often finance their development through pre-sales, a practice which has proven increasingly problematic. Distributed Applications have tried to fund their efforts by selling pre-mined coins, but issues of low liquidity and the possibility of the code being forked and the coins losing value have deeply plagued this model. Mining hardware makers have also often gone the pre-sale route, and as a result many have suffered serious repercussions from what are essentially run-of-the-mill manufacturing delays. As he started recruiting in February of this year, Read knew that he wanted to build the business around some basic values, saying, “we talk about ecological sustainability and social justice as part of the context of every decision.” But even as he built the team, he wasn’t sure how the company would make money. “In my previous company we had some big wins – but we suffered from not controlling the whole prototype-to-distribution pipeline. I knew that this time I wanted to control the start-to-finish customer experience and would need a big team to do it.” In only 90 days, Blocktech has grown to a 20 person team, with two open source hardware projects underway, a number of consulting contracts in negotiation, and their first distributed application in alpha. But the lightbulb moment really happened when they figured out how to effectively monetize it all. Blocktech’s revolutionary model breaks down into two basic sides: mining and utility. The mining department provides cash-flow for Blocktech’s operational expenses, network security for new blockchains, and a steady return for investors. Meanwhile, the utility department is working to attract and convert more users to crypto, thereby increasing daily volume, demand, and ultimately, coin prices. “The utility makers increase demand. If demand increases faster than supply, the price goes up – basic supply and demand. And the miners know the whole alt-coin market well enough to generate steady returns,” Read explains. “But our real advantage is in mining our own distributed applications and regioncoins early as well as other new blockchains that we anticipate to have significant growth potential based on our market expertise.” Like early miners did when Bitcoin experienced its meteoric rise in 2013, as these young coins mature, Blocktech and its investors will benefit from their dramatic increase in price. By bringing together both sides of the equation – utility makers imagining new blockchain applications and the market intelligence of experienced miners and traders – Blocktech is pioneering new ground in the crypto space, and just may have invented the next big business model.